Devil Pig : Forum » CMC#3 & Woods & Hill might get an official release! Forum » [English] Shadows over Normandie » Shadows over Normandie » CMC#3 & Woods & Hill might get an official release! CMC#3 & Woods & Hill might get an official release! Cool news! This is a translation of a post by Guillaume Duprez, in the French forums, stating that both the Cthulhu Mythos Call #3 and Battleground Set 4: Woods & Hills print and play expansions might get an official release in 2019. CMC#3 will be a blister pack accompanied by a mini-campaign. Ce produit devrait rejoindre la gamme SoN officiel sous forme d'un blister pack accompagné d'une mini-campagne. Le BATTLEGROUND SET 4 – WOODS & HILLS qui va aussi rejoindre la gamme et sortira en même temps que le Cthulhu Mythos Call 3. Thank you for digging up that bit of information. Great! More products is always a good thing. great news, additional board options are always welcome. Now can we lobby for some more coastal boards that help us join up the existing ones. Currently you cannot run a coast of more than 3/4 boards. also a river inlet from a cost board. We remain attentive to our community and prefer to produce a product that the community expects. As a SoN developer, I will be working (soon) on Deep One Hybrids. I can take this opportunity to create a new Battleground Set that would complement the existing beach and cliff range. I should be able to do that. It's the same kind of work I did for the Battleground Set Woods & Hills. 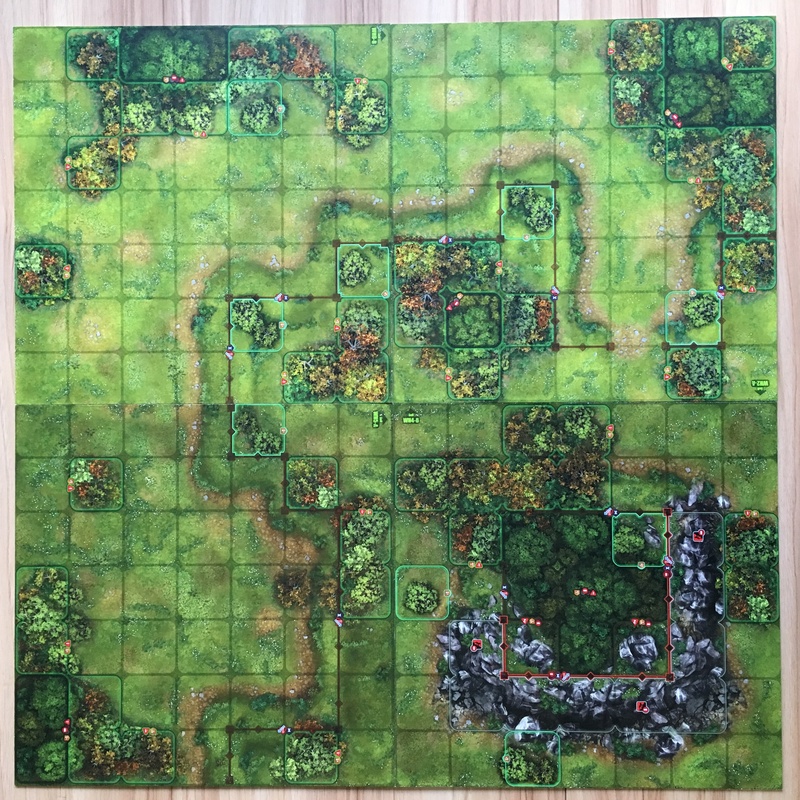 Personally, I attach great importance to the battlefields because it helps me to tell stories and I think it has a huge influence on how a scenario is played. They thus make it possible to change the gaming experience of players and to offer them new tactical challenges. In short, you will have understood it, you will not have too much difficulty to convince me…. Then I have to find the time! Great news, I will certainly buy those !! 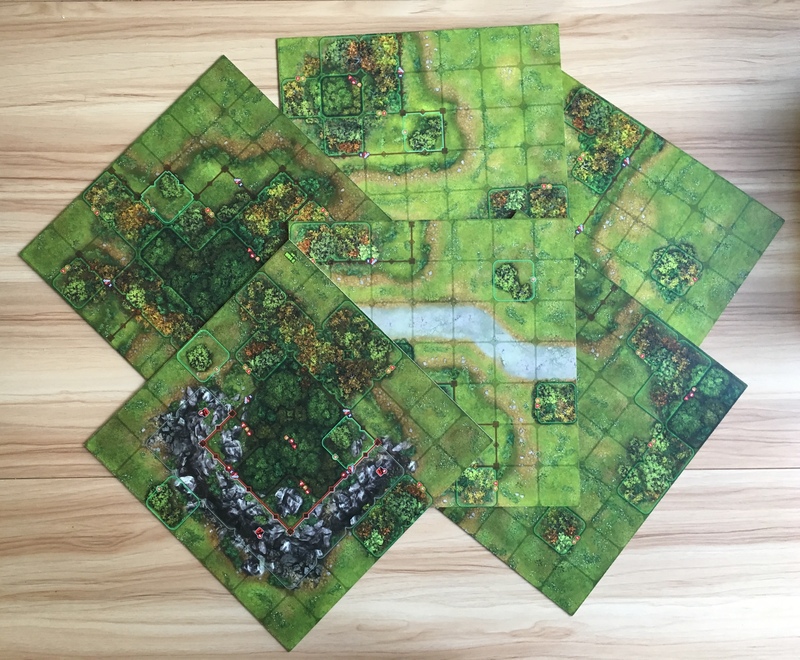 Received this morning: the battleground set 4 Woods & Hills printed by Azao. Super happy with the result. Great news! And great boards Gduprez!! I'm very excited to know that there is an opportunity to complement the existing SON products. Bravo! Would it be possible to see the P&P tile thickness compared to DPG ones? The tiles printed by Azao are slightly thinner than the official tiles. About 0.5mm, I think. And the surface is shiny like all the counters made by Azao.